Plus, to make it easy to get feedback without giving up control of who can make changes, you can now give others the ability to comment on (but not edit) your presentation. D-Link is a global leader in providing network connectivity solutions to small and medium businesses. The company has more than 90 global offices to serve North America, Asia, and Europe. See what other organizations that have gone Google have to say. D-Link is headquartered in Taiwan, but has more than 90 global offices serving North America, Asia, and Europe, each of which operates almost like an independent business unit. Prior to Google Apps, there were multiple IT support groups each with different email systems and no collaboration platform to allow the business units to work together. The old platforms couldn’t keep up with the rate of innovation of cloud-based solutions or the massive storage requirements that are now needed to run a business. As we looked at our options, it was clear that we wanted to be in the cloud. We had been using an old version of Lotus Notes and I was already familiar with Microsoft® Exchange so I figured we’d just migrate over to Microsoft’s BPOS (currently Microsoft Office 365). In the spirit of democracy, I threw the discussion wide open to the technology team at our North American headquarters and had a bake-off to evaluate Microsoft versus Google Apps. We looked at cost, usability, feature set and the global reach of each platform’s infrastructure. In the end the affordability, infrastructure and features made Google the clear winner. After surveying our American employees, we found 67% were already using Gmail in their personal lives, so we knew the transition would be pretty easy. Immediately after implementation we saw a 35% reduction in our help desk calls. Just the support resources we saved paid for Google Apps in less than 12 months. Initially we moved 550 North American employees to Google Apps a year ago and we’re adding 350 more users as we roll out Google Apps to our European offices. We have been supported in our efforts by our Google Apps partner, SADA Systems. 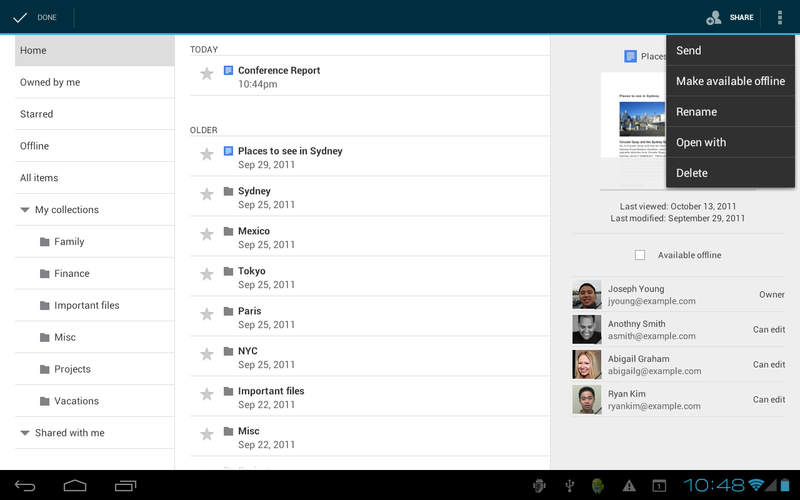 The move to Google Apps has fundamentally changed how we communicate. Once people collaborate online to edit a document at the same time, they never want to go back to the old way of edit and email changes around. We use Google Talk and Google Video, both of which are total game-changers. To look your staff in the eye on a daily basis, no matter where they live, creates a real sense of belonging for those remote employees. People want to be social even at work and video interaction enables that. Since Google Apps is web-based, we no longer have issues with storage and I know that wherever I roam, I can access my data and connect with people with the push of a button. I’m constantly blown away by Google’s rate of feature development. I don’t even have to spend more money; Google just keeps on giving us great new features at no extra cost! Editors note: D-Link is a global leader in providing network connectivity solutions to small and medium businesses. The company has more than 90 global offices to serve North America, Asia, and Europe. See what other organizations that have gone Google have to say. Editors note: Today’s guest blogger is Steve Walker, IT Director and Google Apps Product Manager at Trinity Mirror. 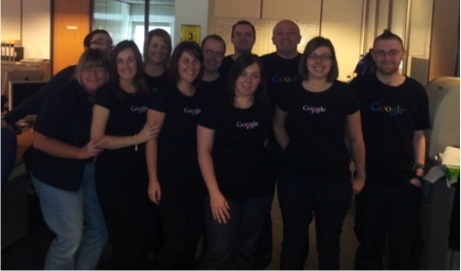 In November Trinity Mirror, one of the UK’s largest media brands, announced its move to Google Apps for Business. Three months on Steve updates us on how the migration has gone so far - and what they’ve learned along the way. In my last blog in November, I described how Trinity Mirror made the decision to move all its staff to Google Apps for Business. At the time we were part way through our migration and were aiming to complete the move by the end of November. Well, the good news is that we not only migrated all 5,200 email users to Google Apps but completed the project two weeks ahead of schedule. 1) We involved our staff by recruiting over 300 "Google Guides". Their support during the migration process was invaluable, they were our Google evangelists and provided on-the-floor support on the business switchover days. This is a photo of some of the Google Guides in action. 2) No one likes to work across two mail and calendaring systems so we made sure we kept co-existence of Gmail and Notes to a minimum. 3) We took the decision not to migrate legacy email into Gmail because users loved the idea of being able to start fresh in a new email system. We’ve retained their old Notes mailboxes online as well as allowing access to local mail archives. 4) We made sure to provide clear, positive information and support for all staff on what was happening and when. We offered one-to-one and classroom-based training for execs and their admins (many of whom manage multiple calendars for their managers) which worked well. 5) We made good use of our deployment partner. The involvement of a partner (in our case Cloudreach) meant that technical issues could be addressed quickly and additional resource and support could be brought in to supplement the project team as and when required. Having deployed Gmail with its integrated chat - Google Talk and Google Calendar, the Trinity Mirror project team is now re-grouping as we turn our attention to Google Docs, Sites and app development. I look forward to bringing you news on how we’re doing as we enter this exciting second phase of our programme. Posted by Steve Walker, IT Director and Google Apps Product Manager at Trinity Mirror. Editors note: Today’s guest blogger is Dr. Alan Hippe, CFO and CIO of the Roche Group, one of the world’s leading research-focused healthcare groups in the fields of pharmaceuticals and diagnostics. See what other organizations that have gone Google have to say. The Roche Group is a leader in research-focused healthcare with combined strengths in pharmaceuticals and diagnostics. For over 110 years, Roche has been pioneering the discovery, development, production and marketing of novel healthcare solutions. Our focus has always been on innovation. For the last two and a half years, our two different email and calendaring platforms have often been an obstacle for effective collaboration. To end these platform interoperability issues, the Roche Corporate Executive Committee made the decision that all employees will move to Google Apps as the single common platform for the Roche Group. When we evaluated new cloud-based solutions, Roche’s Corporate Executive Committee was impressed with the outstanding service and rapid innovation of Google Apps. 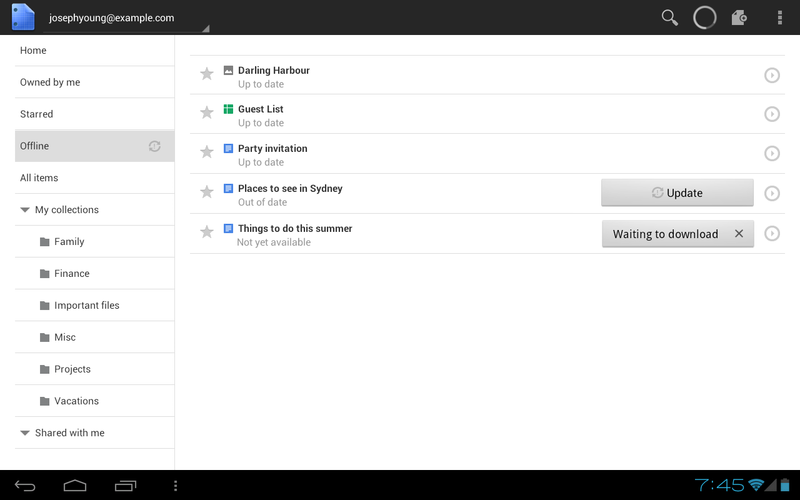 Google Apps will enable over 90,000 employees to work better together from anywhere. Employees will be able to access their email and documents from any web-enabled device, without using remote access systems such as VPN. This will make it easier for employees to work from home or on the go and it will reduce the strain on our IT support teams. Removing barriers to communication and innovation while enhancing mobile access is a key part of our Roche IT strategy. Roche’s history is one of innovation and progress and we believe that aligns well with the capabilities provided by Google Apps. We’re excited to begin moving our employees to Google Apps and we’re confident that Google’s experience in successfully moving other large organizations to the cloud will make this a smooth transition. We would like to share the new features available in the latest release of Google Earth Pro. Version 6.2 delivers a better user experience with improved imagery rendering and enhanced search. Previously, the imagery in Google Earth Pro had patchy rendering because it was constructed by combining different satellite images. The improved rendering in Google Earth Pro version 6.2 addresses this patchiness with a new way of rendering imagery that smooths out differences between the separate satellite images. The improved rendering provides higher quality screen captures for Google Earth Pro users, as well as provides seamless base imagery for creating maps using spreadsheet or GIS import. San Francisco before and after the integration of seamless imagery. Since June 2010, Google Earth Pro users have had access to the U.S. Parcel Data layer. Now users will be able to search that data layer for specific parcels. In Google Earth Pro version 6.2, users simply have to type the parcel number into the familiar search box to be taken to the location of the parcel in the visualization window and access property information such as the property address, standard use code, and last assessed value. The ability to query by parcel number, instead of having to manually navigate to the parcel location, will save the time of real estate and insurance professionals who frequently use the U.S. Parcel Data layer to remotely survey specific properties. Real estate and insurance professionals using Google Earth Pro can quickly find specific parcel details by searching the Premium U.S. Parcel Data layer by parcel number. These new features in conjunction with the other Google Earth Pro offerings, such as advanced measuring tools and the U.S. Demographics and Traffic count data layers, allow users to save time and money when making geographic decisions. Instead of traveling to survey a property, businesses can save time by searching for a parcel in the U.S. Parcel database and remotely measuring and inspecting those properties in just hours. Companies can spruce up their presentations and pamphlets to impress clients by using Google Earth Pro’s high resolution prints (now with seamless imagery). Other businesses use the Google Earth Pro import tool to overlay spreadsheet or GIS data on a map for visual analysis. We encourage you to look at the release notes for Google Earth Pro version 6.2 (beta). If you’re not a Google Earth Pro user you can sign up for a 7-day free trial to try out the newest version. If you are currently using Google Earth Pro, the newest version is available for download here. Editors note: Today’s guest blogger is Ezri Silver, SVP of Operations at Jordache Enterprises. Jordache became well known for its designer jeans in the 1970s and continues to manufacture a wide variety of denim, apparel and accessories. See what other organizations that have gone Google have to say. Although our fashion sense has stayed ahead of the times since the 1970s, we were stuck in the past when it came to technology. We have about 20,000 employees, and we were using Novell® GroupWise for communication and collaboration. From a functional and collaboration standpoint, we were missing flexibility, access and speed. Our calendars couldn’t accept Mircosoft® Outlook invites, basic file sharing didn’t work well across platforms, and employees couldn’t communicate efficiently due to the sluggishness of overloaded Groupwise email and the limited mobile access to their email and documents. As our email volume grew, GroupWise couldn’t support it and we experienced frequent outages that brought business to a halt. Once, when the electricity went out in New York, we lost access to email for 24 hours – that’s unacceptable for a fast-moving manufacturing and retail business. We have stores all over the country and factories around the world, and we needed an easier, more reliable way to support communications among all of them. We evaluated Microsoft® Exchange, Microsoft Outlook, and Microsoft Office 365, but then one of our employees suggested Google Apps. We quickly saw that Google was the best solution. Employees would have access to their email, documents and calendars from anywhere, our IT team wouldn’t have to worry about outages, and employees could collaborate easily across store locations. 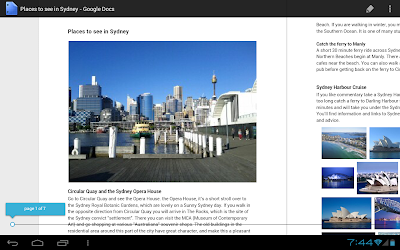 Plus, Google offered more ongoing innovative feature development and a better price. We started by piloting Google Apps in about 20 retail stores across the country. With the help of Google Apps partner, Cloud Sherpas, we now have access to our email, calendar, and documents regardless of whether we are in the office, on vacation, or at a plant in China. 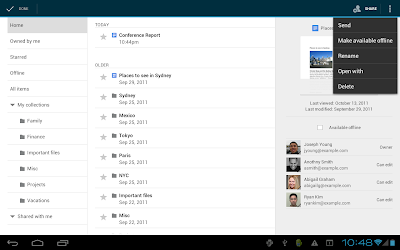 Google Apps is built for team collaboration, which makes so many business processes easier. For example, reviewing job applicants used to involve emailing each reviewer for individual feedback. With Google Groups, we can post the resume to a group and people can provide feedback and discuss it so that we interview the best candidates for the team. We also use Google spreadsheets to track supply orders and Google Docs forms to distribute quick inventory surveys and aggregate data from our retail stores. On top of the easy access and collaboration, Google Apps has saved us at least 20% over GroupWise and about 30% over Office 365. The pricing of Google Apps is simple, and it’s easy to see how much value you get for $50 a year. 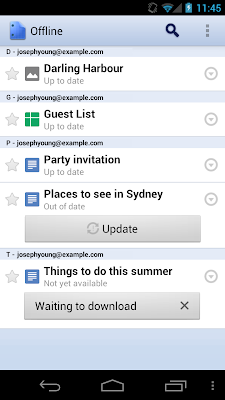 Plus, with Google Apps you know you always have the latest features instead of being stuck with a specific version. 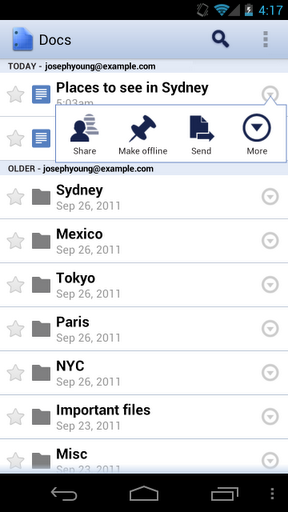 For Jordache, moving to Google Apps has been a great experience with a lot of solid business and technology benefits. Editors note: Today’s guest blogger is Lee Tae Kyu, CEO of MS Autotech, which specializes in car-body parts for auto manufacturers such as Hyundai Motor Co., Kia Motors and Daimler-Benz. In 2011, the company had revenues of approximately 500 billion KRW, and anticipates revenues in 2012 of between 600 and 700 billion KRW. See what other organizations that have gone Google have to say. My company, MS Autotech is based in Korea, but the auto-makers we supply with parts include not only Korean manufacturers such as Hyundai and Kia, but also non-Korean companies such as Daimler-Benz. We have 900 employees in Korea, 1,000 employees in India and we’re building a presence in Brazil. All of this means we’re a global company and we need a global communications and collaboration system that just works. When we began our search for a global solution, we were looking for an easy-to-use, standardized communication and collaboration system that would allow us to upgrade seamlessly over time, and around the world. After examining Google’s offering from an IT perspective, it took us less than a week to choose the Google Apps solution. At the time, our users had very limited IT resources, and expanding our old email system was an extremely slow process. We really needed to make a new investment that would make a difference quickly. Making the switch to Google Apps couldn’t have been easier. 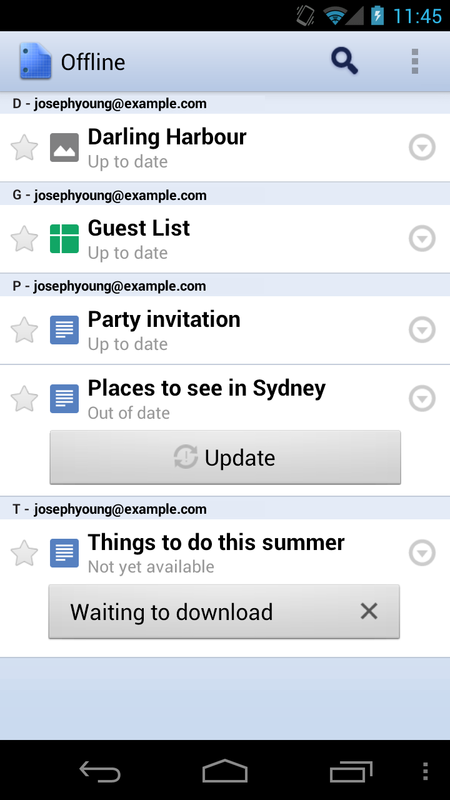 We worked with Netkiller, a Google Apps reseller, to help us get up to speed with Google Apps. 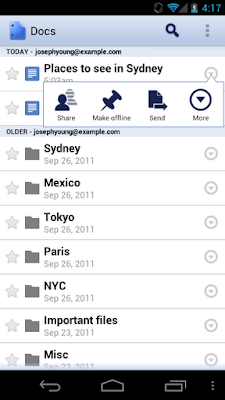 We’ve found that Google Apps for Business is the optimal solution for our growing needs. We love that it’s cloud-based, so we don’t have to worry about upgrading software on individual PCs. Now that we’ve moved to Google Apps, we’ve been spared the ongoing cost and resource demands of hardware management, and we no longer worry about things like hardware capacity or storage limits with 25GB of email storage for every employee. As a result, our IT strategy team has been able to change its focus to the fundamental work of planning and leading our technology services. After seeing this kind of innovation at work within our company, we know that we made the right choice with Google. From our employees’ perspective, Google Apps is very responsive; we can easily check email and access docs from anywhere. We can even use smartphones to review and edit documents. We’re making the most of other Google Apps features as well, including Google Talk (in Gmail), which we use for videoconferencing. Likewise, we’re using Google Calendar for its collaborative features, like the ability to input your schedule and share it with others. Perhaps the most valuable outcome is that we can now collaborate horizontally rather than in vertical silos, making it easier for different groups to work together toward shared goals. Now we can quickly work across international borders, which helps us do things like reach immediate decisions with our assistant manager in Brazil. It empowers us all to make decisions, together, in real time. I’m happy to say that we’ve gone Google so that we can save time, make decisions faster, communicate and collaborate more effectively, and be more flexible as we grow. Going with Google Apps is helping us become the best in the industry.